CSS is the presentation side of web design. CSS and HMTL work together to make your website an impressive place to be. Years ago, web developers realized they needed a way to separate content from design, so they created CSS. 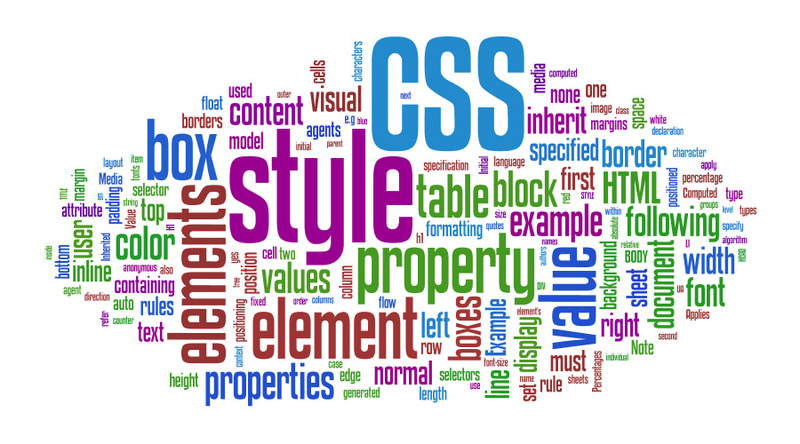 CSS uses the HTML tags to apply certain changes to certain sections of your code. The amazing, wonderful thing abut CSS, is that no matter how many pages are in your site, you can change the appearance of all of them at the same instant by changing the properties in your CSS style sheet. It’s a global change in one document. This one-stop saves untold number of work hours because your web site management team doesn’t have to apply the changes one page at a time. CSS style sheets allow you to make every page of your site follow the same presentation scheme. Do you want all you hyperlinks to be green with dotted underlines? CSS can do that. Do you want all your images surrounded by a 4 pixel wavy border? CSS can do that. The more CSS you use, the less code you use in your HTML pages, which is a good thing because the cleaner your HTML code is, the easier job search engines have finding your pages. So the cleaner your code, the better your page ranking. The more presentation code you leave out of your HTML document and place in your CSS style sheet, the faster your page will load. This is particularly attractive to users who surf the web and don’t stay on any site if it doesn’t immediately load. CSS is cross-browser compatible. No matter what browser you use, you website will look the way you want, because every browser will understand the style sheet in the same way. Printers can easily ignore the CSS styles and only print the all important content of the webpage.